I left my small group church training so encouraged and so very excited to begin this semester, but right along with the excitement came a creeping lie of feeling the weight of the responsibility that comes with leading a small group in our church—the call to disciple and love our group members well. As I kept allowing the thoughts to weigh heavier I began to remember all the other commitments that currently fill my calendar. All of my commitments are great things—being a wife, momma, managing my home, women’s ministry, writing for this blog, small group leader, etc. All amazing gifts from the Lord to be a part of! Unfortunately the prominent emotions that clouded my mind were ones of being overwhelmed and stressed. I want to do all things well. More than doing them well I want others to think I am doing well. I want their approval. And on top of that, I want to complete all my tasks in my timeline, but fortunately in God’s faithfulness, I could not even prepare adequately for these commitments. The lie that it was “all was up to me” became my mindset. Have you ever been here? Overwhelmed by the seasons of life so much so that you forget who is really in control and what the purpose of all things really is? It’s so easy. I went to the Lord crying out to Him about the heaviness I felt and He gently opened my eyes and shifted my focus to truth. “He will tend his flock like a shepherd; he will gather the lambs in his arms; he will carry them in his bosom, and gently lead those that are with young,” (Isaiah 40:11). My focus had increasingly shifted from Him to myself and He was bringing me back. I told Him I didn’t feel like I could do all things, or even any thing well. I questioned if I had followed Him correctly in committing to everything. I told Him I was feeling unsettled and jumbled in my thinking. But He sweetly reminded me that I am not enough, nor will I ever be, that Jesus is the only one who will ever supply all we need. He reminded me that my eyes need to be on Him in order to point others to Him. My small group does not need a perfect leader nor do you need me to be a perfect writer. The Lord can use all of us just where and who we are, “I have set the Lord always before me; because he is at my right hand, I shall not be shaken. Therefore my heart is glad, and my whole being rejoices; my flesh also dwells secure,” (Psalm 16:8-9). My to-do lists and responsibilities do not need to be before my eyes, but my Savior does. I can set the Lord always before me, the one who is in control of all things and has all in His hands (Psalm 95). Even knowing this truth, it is becoming clearer just how much the culture can have a pull on us. The world would tell me that if I just work hard enough, “whatever I set my mind to,” I can accomplish. Hard work pays off right? And yes, while there is truth in those statements, what’s left out is complete trust in the One who is the creator and sustainer of this universe. I absolutely want to work hard, love well, serve all I can, but the outcomes are not on me. Everything is out of my control. I could do everything “perfectly”—disciple with the “just right” truth that each group member needed to hear, keep my house perfectly in order, never discipline in anger (let’s be honest, I don’t know if I will ever do that perfectly, yikes), whatever it may be, but I am not in control over other’s responses. The Lord is the one who softens hearts, provides change and stimulates growth. “So neither he who plants nor he who waters is anything, but only God who gives the growth,” (1 Corinthians 3:7). What a weight is lifted by our sweet and loving Father! Do you ever find yourself overwhelmed by your many responsibilities in your daily life? I say that I believe God is in control, but when my mood shifts if something comes out of “my control” then I think I’m saying I believe something other than truth. God’s word can apply right in the heart of your overwhelming feelings! I’m not saying that I’m not going to work hard for what the Lord is calling me to, “Whatever you do, work heartily, as for the Lord and not for men, knowing that from the Lord you will receive inheritance as your reward. You are serving the Lord Christ,” (Colossians 3:23-24). I am saying, however, that I’m asking for the grace to truly believe the truth of who God is in this busy season, to trust that His ways are better than mine. To believe that He loves me and loves those I am serving and will do what’s needed to show us Himself. In God’s sweet providence, just today, as I had time away to write this, when I wanted to get it done yesterday, a young woman that is under my care found herself in the same place as me and we were given 20 minutes to chat about life—the beginnings of a sweet discipleship relationship and friendship. This would not have happened had God allowed what I wanted yesterday. He is so faithful. “… ‘It is finished,’….” (John 19:30). He has done it all! I recently had coffee with a very dear friend. I’m in a season of weariness, both physically and emotionally, so I haven’t been looking forward to many things, but I did look forward to spending time with this particular friend because I knew that I would truly enjoy our visit. I knew that I could be myself and that our time together would be soul-nurturing. I am grateful to the Lord for the friendships He has blessed me with, but especially the ones where I can “dive deep” easily and quickly, and feel connected in a special way. The image in my mind’s eye was a loving and nurturing friendship, much like the friendship I described above. I confess that I do not have that kind of relationship with God, not at the present time. Our relationship is on my terms. I talk with God, but only when I want to. I read the Bible, but I don’t take the time to reflect on what I have read and how it spoke to my heart. I don’t spend time praying intentionally. I take God for granted. Most human relationships would not withstand that kind of neglect. Most people would give up on a “friend” who talked with them intermittently, didn’t show true interest in their lives, and didn’t take time to listen. But God is God and we are not. Despite my actions (or lack thereof), God still delights in me. In ME. Why? I am so unworthy. Praise God that His love for me is not dependent on anything I do or don’t do. God loves me and desires to have a relationship with me, and there is nothing I can do or say that will change that. 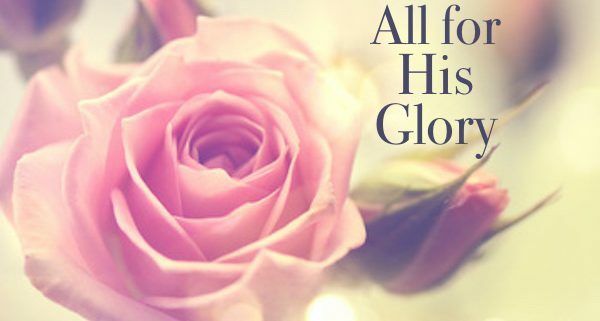 Because Christ died for my sins, because I believe by His grace, God sees Christ’s purity and perfection instead of the filth of my sin and my blemishes. Thank you, Lord! “He will take delight in you with gladness. With his love, he will calm all your fears. He will rejoice over you with joyful songs” (Zeph 3:17). I’ve been thinking a lot about what makes a friendship a really special friendship. I believe there are 3 investments that are required—time, trust and attention. Friends must spend time together to truly get to know one another. Friends must be able to completely trust each other; both parties must be able to vulnerably share who they are as well as the struggles they face. Friends must be willing to give each other the attention the other requires, particularly in the form of active listening. I’m thankful that my eyes have been opened to see that in this season I’m in, my relationship with the Lord could go deeper in friendship. So what would it look like if I did those three things with the Lord? By His grace I want to seek a more intimate friendship with Him. I can spend time with Him everyday, unhurried time. Scheduled time. I can be willing to open my heart completely and totally to Him. He knows me through and through. Why do I feel like I need to “be” a certain way with the Lord? I want an authentic relationship with Him, where I feel no guilt or shame. Christ has freed me from those bonds! And I must be willing to read God’s word, to let God’s Word have a voice in my head and heart. I then must talk with God through prayer, intentional prayer, and reflect on what I learn from Him. A while ago I made a commitment to contribute as a writer twice a month to Bloom. I have not written a blog in a very long time. I had many reasons as to why I hadn’t written in a while. One, I would tell myself “Today is the day I will write!” but not surprisingly this would turn in to the next day which turned into another day and then another just because of excuses I could make in that particular day. Two, I could not justify being involved in an area that I felt so weak in and three, I found other tasks or mindless things to do that did not require my writing at all, but did occupy my time and keep me from this commitment (TV, Phone, Social Media). 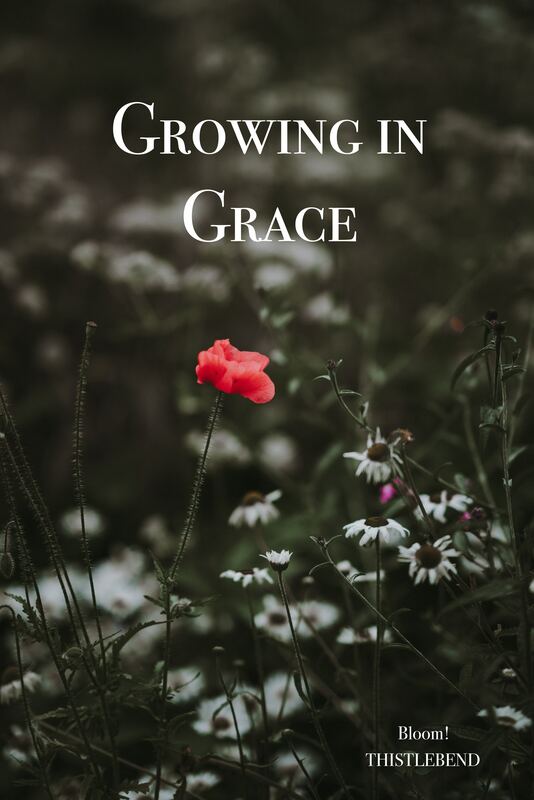 I share this with you not to announce that I have FINALLY written a blog, but to share how the Lord used this season of my life to illustrate very clearly for me that pride is sneaky! A couple of weeks ago, I suddenly came out of this ridiculous funk of having absolutely no desire to write. I wanted to make sure that my blog posts would be “inspirational” or thought provoking to readers and I just felt as if I had nothing to contribute. I went from having a season of no inspiration and just plain ole discouragement about my writing to actually feeling as though I could contribute SOMETHING! I was ready to write because on this night Colossians 1:9-14 was brought to life in a whole new way for me. I picked up my personal Bible, turned to Colossians 1 and continued in my reading. As I poured over word after word again, highlighter in hand, and journal in the other, I finally came to verses 15-29. This would have concluded the chapter for me, but what was even more exciting was as I was reading I thought that I could actually have two blogs that would hopefully read well and would be packed with what I thought was worth-while head knowledge. But just as quickly as I became excited about being suddenly inspired, I burned out and I became annoyed. Yes, I became annoyed while reading the Bible, I found myself being distracted. I told myself “Just stop, wait a moment, read through it again” As I said this to myself, I closed my eyes tightly and tried to refocus my brain but I could not. This studying and thought provoking quiet time I was having for the blog, started falling apart. Every thought fell out of my head as quickly as it came into it. This was so frustrating. I felt like I could clearly articulate my thoughts on what I had learned from verses 1-14. I could not lose that. I could not be seen as not keeping my word regarding my commitment to the blog again! But unfortunately, my train of thought was gone and I found myself consumed with even more distractions. My brain felt foggy. I’ve felt so weak when it comes to my blog posts, that nothing I write brings any new revelations for readers. I was so sure the Lord was going to allow some major “light bulb” moments for me so that I could contribute once again to the blog the way I thought I needed to, and when that didn’t happen the way I thought it should, the focus shifted from Christ to self. I want so badly to feel as if I am a strong writer, to be like my mentor and people I admire. To be able to construct this masterfully worded perspective on a particular passage is something I deeply desired. Let me be real, a lot of times when I am not at the level I THINK I should be, I do a ton of “Lord, why would you have me even involved in something I feel so weak in,” or I flat out avoid anywhere that I feel weak. So, in frustration I got up from my desk and asked the Lord for His grace and mercy to show me why I was struggling so hard in this. Was there something I was missing, or is this His way of saying that I should not continue on with this commitment? In no time it came to my attention that I approached my time with Him not with eager expectation, but in pride. I have wrongly questioned the Lord and his plan for the commitment He has called me to. I would even say I wrestled and fought with it. He gently showed me why I struggled to be obedient. I hate being weak. Like many people, I feel extremely uncomfortable with being weak, vulnerable, exposed, and wrong. All this outweighed my desire to fully surrender and allow the Lord to have all areas of my life—including a small commitment to contribute to a blog. I was reminded that The Lord is not only going to allow scripture to come into a new light for me in different seasons of life, but He is also going to be constantly shining a light on my sin, showing me the areas I have knowingly or unknowingly resisted complete surrender to Him. He does not do this for me to be ashamed, but because of His deep love for me. You all, if He did not love me, He would not correct me. He could allow me to foolishly walk through life without correction. And you know what? God would be completely justified in doing so, He has no need for man’s pride. He mercifully showed me that my pride was impairing my vision and mind. I could not see I had taken this beautiful passage in the Bible and tried to turn it in a way to promote self, to behave as though I had pridefully grown in understanding. There’s nothing wrong with wanting to help fellow sisters and brothers in Christ by placing each other in remembrance of God’s word, but when I am doing so in a manner just so that I can boast or feel proud, then it is wrong and I am in serious danger of stripping away from the message found in scripture pointing to Christ and what He has done for us on the cross. Sadly, I wanted to use this passage to show that I could finally try and be strong in an area where He has not necessarily called me to be strongest, but to simply be obedient, and I’m learning that’s okay! When I read Colossians over, it was humbling to realize that despite myself, despite my futile human thinking, Christ still loves me. Just to think, I can rejoice with gladness when I read how He has qualified me, a gentile, who had no claim to the promise God made to His people. It is only because Christ Jesus made a way. Despite my need to be approved by man I am loved deeply by my Savior. Jesus came to the earth, He lived, died, and rose again so that I can be counted among those who have been redeemed. “For it is by grace you have been saved, through faith—and this is not from yourselves, it is the gift of God— not by works, so that no one can boast. For we are God’s handiwork, created in Christ Jesus to do good works, which God prepared in advance for us to do.” (Eph 2: 8-9).